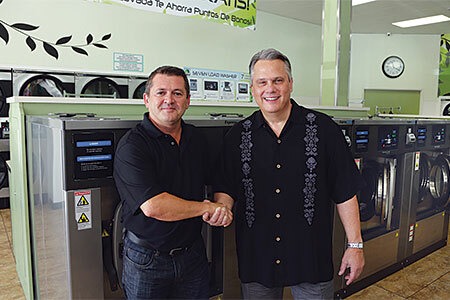 Thompson’s efforts to create an environmentally friendly laundry keyed on its equipment—ExpressWash washers and ExpressDry dryers—which are designed to drastically cut water, electricity and natural gas usage, while offering customers a quick wash and dry. At Fair Oaks Laundry, the ExpressWash freestanding washers reportedly provide greater energy efficiency than traditional hard-mount washers. They also reach extract speeds of 354 G-force, which allows customers to wash and dry loads in less than an hour. The high-extract washers remove more water per load when compared to traditional hardmount machines, which produce extract speeds of approximately 75-200 G-force, Continental says. Loads dried at Fair Oaks dry 40-50% faster but use less natural gas and electricity, the laundry reports. Because dryers run less often, they experience less wear and tear, and use less natural gas. This allows Fair Oaks Laundry to serve more customers per day, which is especially critical during busy weekend hours. 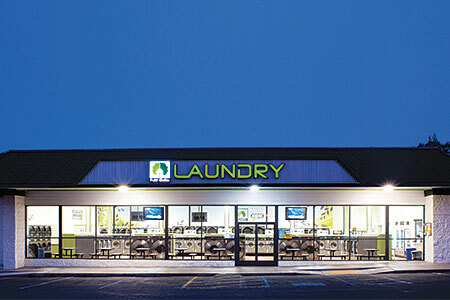 After 18 months, Fair Oaks Laundry was already exceeding the national average turns per day, with just 14% of revenue consumed by utilities, Continental says. That’s really good in any laundry, according to Thompson, but especially one that’s so big. Fair Oaks features 45 ExpressWash washers, six 75-pound-capacity PowerLoad washers, and a mix of Continental dual-pocket stack drying tumblers in 30- and 45-pound capacities. Also lessening the laundry’s carbon footprint are solar tubes and T-8 lighting; high-efficiency heating equipment; a roof that better insulates for less cooling and heating inside; plus low-flow faucets and toilets. “Even if it costs more money, it’s worth it if it lessens our carbon footprint,” Thompson says. Check back Tuesday for the conclusion!